Big Picture How To Get In "Sync"
These days, the name of the game for artists at all levels is diversification. To stay afloat, musicians, and the people that represent them, need to find sources of revenue from more areas of the industry to help counteract the decrease in album sales. Touring more, a larger focus on merch sales, and selling premium products are all part of the equation. But perhaps the most sought-after source of revenue these days is a placement in a film, TV show, or commercial. Aside from the exposure that placements can bring, content creators and owners can profit handsomely for their material, provided it's a good fit. It's important, then, to understand how placements work, how you're paid, and how to get your stuff in the right hands. But first, some copyright basics. When a song is written, the composers of that song are automatically granted copyright over that material. Nobody else can profit off of it without the writers' express permission. When that song is recorded, the master recording of that song is also protected by copyright. The owners of the master – whoever controls the rights to the recording – must also be compensated anytime the recording is used. These two rights form the basis of music placements. Anyone who wants to use recorded material in their TV show, film, commercial, videogame or other media production must secure permission for both of these: to use the composition, as well as to use the recording of the song. When a music supervisor – the person in charge of securing music for a TV show, film, or commercial – finds a recorded song they want to use, sync licenses and master licenses including an appropriate fee are negotiated with the respective owners, typically, a publisher for the sync side, and a record label for the master side. If the artist is unsigned, then the artist may still control both sides and can do the deal for both. The license fees mentioned above are only one part of how creators can be paid for their music. When a song is used in TV or film, the intention, of course, is that the TV show or film is to be broadcast. That broadcast, in most cases, serves as a public performance of not only the TV show or film, but all of the creative content within it. If this includes your song, you're entitled to royalties. In order to collect these broadcast royalties (sometimes referred to as "back end" royalties), two things need to happen. First, the songs need to be registered with SOCAN, the organization in Canada responsible for administering performance royalties to composers and songwriters. Registering the songs is easy, membership to SOCAN is free, and becoming a member has numerous other benefits. Second, SOCAN needs to be made aware of what songs, and how much of those songs, were included for broadcast. 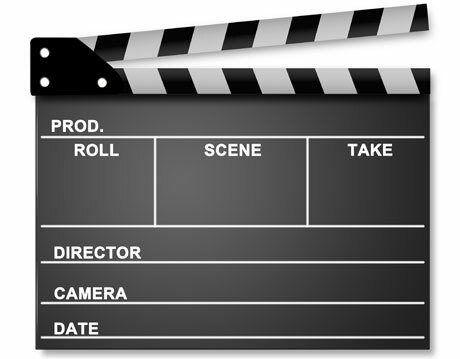 This is done through the use of something called a cue sheet, and it's required for all TV and film productions. Once SOCAN receives these sheets, it matches up the songs that were used with the creators of those songs, and pays out royalties based on the audience size, regions, and medium. It's important to note that it's the broadcasters that pay these royalties, and NOT the producers of the content itself. Understanding the mechanics of how placements work is key. Of course, it's equally as important to know where music supervisors find typically find their music, as well as what they're looking for. It usually all comes together by the power of magic," jokes Jeremy von Hollen, assistant music supervisor on Degrassi and one of two supervisors at instinct entertainment, based in Toronto. "When we need music for a show, we typically blast out a request to our contacts, which include managers, labels, publishers, and indie artists that we've licensed before." Finding those indie artists, he says, typically happens in all the ways you'd suspect. Music festivals are a great resource, since all of the artists have been "pre-selected" by the programmers; von Hollen is adamant that supervisors at instinct go through the festival lists one by one, in order to give every band an equal shot. Supervisors from instinct also accept submissions by email, get referrals through their networks, and attend shows two or three times a week. Although this can be a hit-and-miss approach, von Hollen notes that developing relationships with artists at the beginning of their careers can often lead to placements down the road. So what are supervisors looking for? Every placement is different, but in general, the music needs to have something unique about it. Supervisors listen to a lot of music, so having something that stands out is vital. Another tip from von Hollen: make sure when you're recording music, you leave the studio with instrumental versions of your songs. Often, supervisors need music without vocals, and with the short timelines they work on, they can't wait for you to chase these down. It's simple for an engineer to create a mix without vocals, and you'll ensure you don't miss opportunities for placement. There are also dozens of music libraries out there that supervisors often use as source material. These libraries are sometimes referred to as "pre-cleared" libraries, which means that all of the music is readily available for supervisors to use at the drop of a hat. The creators are still compensated, of course, but the negotiation for permission doesn't apply. These libraries all have their own submission process, but generally accept music from all sources, provided it meets their standards. Getting your songs into TV, film, commercials isn't easy, but it's not impossible either. Producers need all kinds of great music to enhance their productions, and who better to provide it than a talented musician like you? Scott Honsberger is a consultant and founder of music industry blog Your Band's Best Friend.